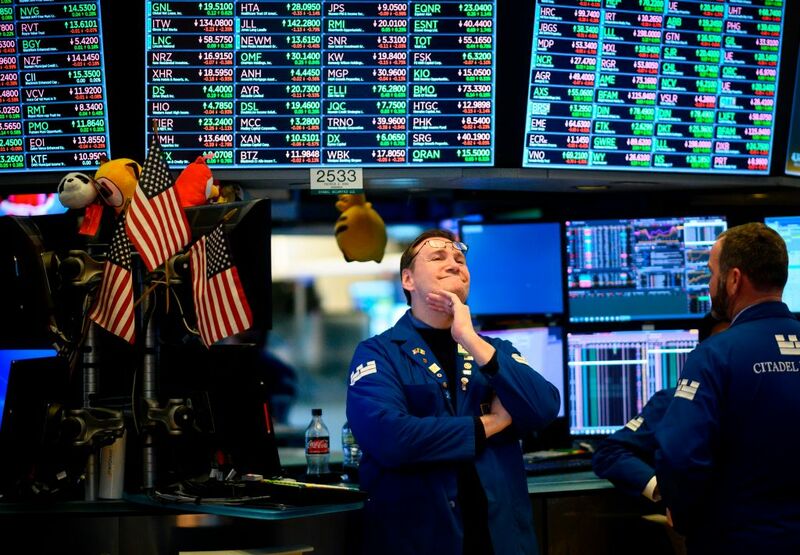 World stocks rose to a fresh two-month high on Feb. 5 to keep up their fast start to 2019 while the U.S. dollar strengthened for a fourth straight session as investors looked toward an annual address by the U.S. president later in the evening. Boosted by U.S. and European equity performance, MSCI’s gauge of stocks across the globe gained 0.64 percent, increasing for a sixth straight session as it hit a two-month high. President Donald Trump was due to give his State of the Union speech at 9:00 p.m. ET, with investors awaiting indications of progress in U.S.-China trade talks and watching for signs of tensions with Democrats following a 35-day partial federal government shutdown. The Federal Reserve’s dovish recent statement on interest rate policy, along with optimism over U.S.-China tensions, has fueled recent risk appetite, even as estimates for U.S. corporate earnings have been falling. Shares of Estée Lauder Cos and Ralph Lauren reacted favorably to the companies’ respective quarterly reports. 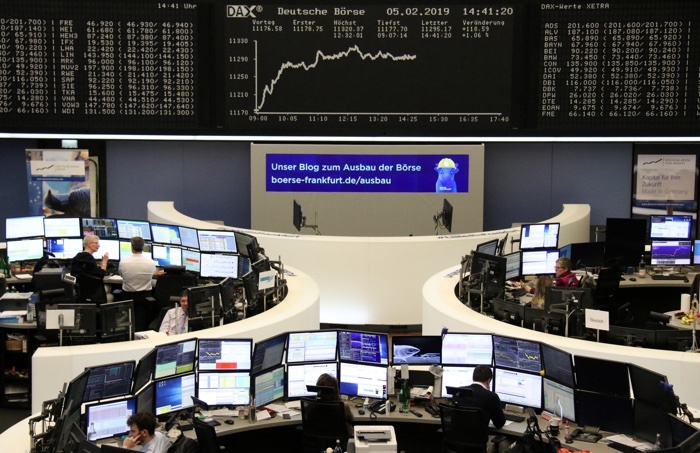 European shares hit nine-week highs on Feb. 5, as a recovery in banks, gains in oil stocks on stronger crude prices and a solid update from BP helped offset some disappointing updates including from Apple supplier AMS. The pan-European STOXX 600 index rose 1.3 percent to its highest since Dec. 3, while euro zone stocks added 1.5 percent. The commodity-heavy FTSE 100 rose 2 percent as a falling pound gave an accounting boost to blue chips with strong revenues outside Britain. BP said its profit doubled to $12.7 billion in 2018, driven by strong growth in oil and gas output following the acquisition of a large portfolio of U.S. shale assets. “This is the eighth quarter in a row that BP have beaten street expectations. Surely that’s enough to convince ‘Mr Market’ that something has changed inside BP,” Bernstein analyst Oswald Clint said. “It’s all down to unheard-of upstream project execution and faster than we expected downstream new site roll-out,” he added, confirming his outperform rating on the stock. BP shares rose 5.1 percent, their best day since September 2016. The oil index helped lift the market with a 1.7 percent rise. Euro zone banks, which have been under pressure due to concerns over a slowing economy and dovish central bank stances, recovered after six straight session of losses, rising 1.7 percent. Top faller on the STOXX 600 was AMS, down 6.9 percent after the sensor specialist and Apple supplier skipped its dividend and said first-quarter revenue would fall amid continued weak smartphone demand. In the same sector, Infineon managed to avoid heavy losses despite a disappointing update, suggesting recent price falls may have priced in the worsening outlook for the sector. Its shares were down 0.6 percent. Continued recovery in investors’ appetite for risk taking exerted pressure on safe-haven currencies, dragging the Swiss franc to an 11-week low against the dollar. U.S. Treasury yields fell as investors priced in the Fed’s dovish interest rate outlook amid an uncertain global economic outlook. “Yields are consolidating around levels that are more consistent with the new position at the Fed,” that it could effectively hold rates steady over the next six months, said John Herrmann, rates strategist at MUFG Securities in New York. Benchmark U.S. 10-year Treasury notes last rose 7/32 in price to yield 2.7001 percent, from 2.724 percent late on Feb. 4.